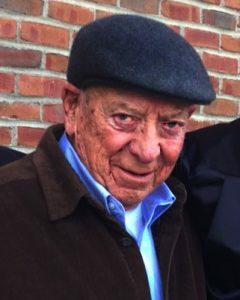 Robert Francis (Bob) Connolly, 90, a lifelong resident of Woburn and more recently, Arlington, died peacefully, Sunday, March 31st, at the Lahey Clinic in Burlington, with his family by his side. He was the beloved husband of the late Anne E. (Martin) Connolly. Born and raised in Woburn, Bob was the son of the late Joseph Matthew and K. Josephine “Josie” (McDermott) Connolly. He was a 1946 graduate of Woburn High School, and after graduation enlisted in the US Army. He served his country proudly during the Korean Conflict until being honorably discharged for medical reasons. He turned down his acceptance to Tufts University, choosing instead to serve his country. Upon discharge from the military, Bob went on to graduate from Burdett College where he met his future wife Anne. For the majority of Bob’s life he worked as an accountant. He worked first in the Woburn School Department, then as Woburn City Auditor, and continued to work for the US Department of Transportation and Gloucester Senior Services. After retiring from accounting work he worked at Mount Ida College. At 79 he started a new position delivering medical supplies for Cardinal Health. As if that was not enough, Bob delivered newspapers for Tom Wilky of Moore and Parker. He finally retired at 86. Bob was an avid sports fan, not just as a spectator but as a player and as a coach. He played hockey for the Ryan Company of Woburn . He played in Woburn men’s softball leagues and also bowling leagues at the Woburn Bowladrome. He coached in the Babe Ruth baseball league. From 1955-1975, Bob served as the first hockey coach for Woburn High School, leading them to numerous victories. Coaching kids, that later in life became friends, was Bob’s greatest joy. He was affectionately known as Coach Bob. Bob and Anne’s house was always open for his hockey players and their friends. Bob served as a mentor and chaplain at the Bedford VA where he impacted the lives of many veterans. Continuing his service to others, he volunteered his time counseling many friends and acquaintances struggling with alcoholism. Bob was a kind and gentle family man who was content to share a meal with his relatives, read the Boston Globe cover to cover, dote on his dog and watch his beloved Red Sox. He was very proud of his Irish heritage. He was even prouder of his family. Bob is survived by his children, Susan Stark, her husband Wallace of Magnolia and Robert F. Connolly Jr. of Woburn. Cherished grandfather of Evan and Colin Stark. Dear brother of the late M. Jane Connolly. A Funeral will be held from the Lynch-Cantillon Funeral Home, 263 Main Street, Woburn on Friday morning, April 5th at 9 a.m. followed by a Funeral Mass in St Barbara Church, 138 Cambridge Road, Woburn at 10. Interment in Calvary Cemetery, Winchester. Relatives and friends are respectfully invited to calling hours in the Funeral Home, Thursday evening 4-8. Remembrances may be made in honor of Bob to the North East Animal Shelter 347 Highland Ave, Salem, MA 01970 or to the Pine Street Inn 444 Harrison Avenue, Boston, MA 02118. Sorry to hear about the passing of your dad. John Day and I spent many special nights with your mom and dad during the late 50s and earl 60s. They both were very special to us! Our thoughts and prayers are with you all. May you know peace and comfort. Sorry to hear about your dad’s passing. We had some great conversations at Moore & Parker’s in the mornings. May he rest in peace.